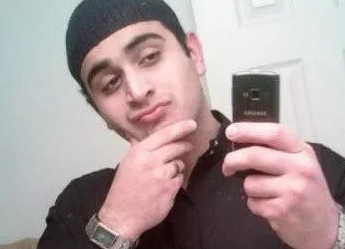 After shooting his way through an Orlando nightclub, Omar Mateen told authorities in a series of phone calls that he wanted the bombing in Syria and Iraq to stop, according to a partial transcript of the gunman’s phone calls during a standoff. The partial transcript and timeline of the shooting show Mateen shot his way through Pulse for six minutes. When backup officers arrived, he retreated to the bathroom and barricaded himself with a group of hostages, the Orlando Sentinel reports. The shooting started at 2:02 a.m. as Mateen exchanged gunfire with an officer, who retreated and called for backup. Six minutes later, backup arrived and began firing at Mateen from within the club. At some point, the gunfire stopped until about 5:15 a.m., when Mateen was hot by police. It’s not yet clear whether police inadvertently shot innocent people.